Believe it or not, that red light is a good thing. Well, maybe not a very good thing, but a pretty good thing. 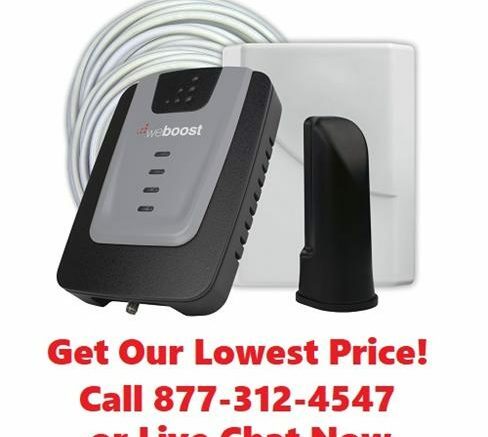 Let’s say you’ve recently installed a new cell booster like this weBoost Home 4G. You plug it in, you turn it on, and… red light. The manual says all the lights should be green. What should you do? The red light is a pretty universal indicator that will tell you something’s wrong, and you’ll see it on every cell booster and it always means the same thing. It means your cell booster is protecting the world from your installation choice. You see, when a cell booster’s two antennas are too close, they’ll start a feedback loop if something isn’t done FAST. Think about what happens when someone puts a microphone next to a speaker and you’ll get an idea what a feedback loop is. The danger of a cell booster feedback loop is that it could spread to the nearest cell tower and from there cause all sorts of havoc. That’s why modern cell boosters are required to have circuits that automatically watch out for feedback (also called oscillation) and reduce the power of the cell booster to compensate. This can mean that the booster is actually completely shut off and doesn’t function for you. If you see the red light, it means the booster isn’t functioning, and it’s usually because it’s shut itself down. Some boosters have orange lights to say they’re doing “ok” but could be doing better for you. If you see that red light, though, there’s one fix you should try immediately. You need to separate the outdoor and indoor antennas. The rule is you need 15 vertical feet of separation between the two. That may mean climbing up on the roof to put the outdoor antenna further up, or it may just mean putting the indoor antenna further down. I know that doesn’t make a lot of sense, but you won’t get full power unless the two antennas are really fifteen feet apart. It also helps to have them be on opposite sides of the house but the most important indicator is that vertical distance. Unplug the booster, reposition the antennas, and then plug everything back in. If you’re still seeing that red light, there’s something else wrong, but it’s pretty unlikely that you’re still seeing it. The red light almost always goes away if you’re installing properly. If you’re still “seeing red” then there may be a short in an antenna or in a cable. Contact your friends at Solid Signal at 877.312.4547 right away and we can help you decide what to do next!